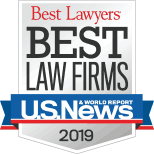 BOSTON — Andrew C. Meyer, Jr., founding partner of Lubin & Meyer PC, has been selected to the Top 100 Massachusetts Super Lawyers list featured in the November 2004 issue of Boston magazine. The list is based on a peer balloting process involving attorneys from across Massachusetts and conducted by a research and review panel organized by Law & Politics magazine. Over 37,000 ballots were sent to lawyers statewide. The Top 100 Super Lawyers list represents the top 5 percent of attorneys in Massachusetts. You can view Lubin & Meyer's firm profile that ran in the Super Lawyers section here. Meyer also tops the list of best personal injury attorneys in Boston magazine's most recent "The Best Lawyers" issue. Meyer is the founding partner of Lubin & Meyer, PC, Boston. He is recognized for consistently achieving record-setting verdicts, including the largest personal injury award in Massachusetts’ history, $30 million dollars including interest. His cases are often cited for their novel and precedent-setting issues.